Before Devin Nunes started manufacturing evidence that Robert Mueller’s investigation into whether Russia hacked the election for Donald Trump was a hatchet job, the most infamous taxpayer-funded witch hunt in recent memory was the one led by fellow Republican congressman Trey Gowdy. 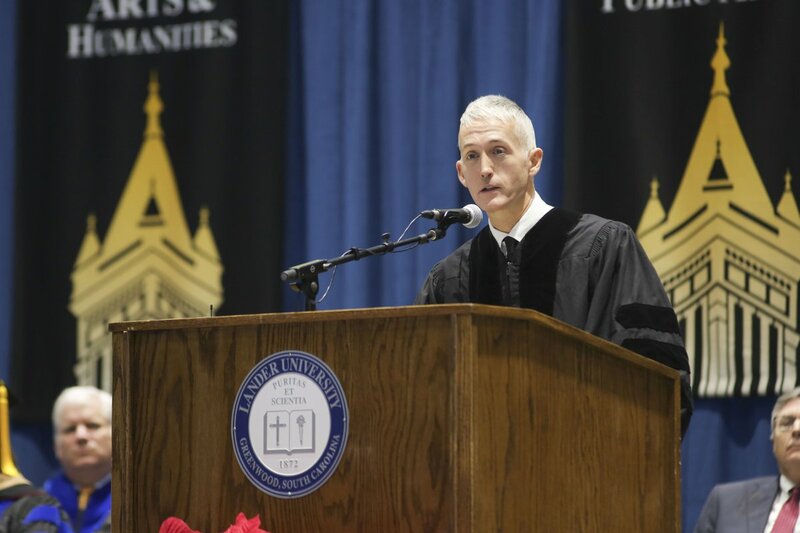 For over four years, Gowdy pressed on with an investigation into the attack on the American embassy in Benghazi, and continued doing so even after Republican-led House and Senate committees found that there was no wrongdoing on the part of the Obama administration. The congressman from upstate South Carolina continued doing so even after he admitted that there was no evidence that anyone ordered troops who could have relieved the embassy to stand down. So it was rather telling when Gowdy, who is not running for reelection this fall, didn’t join the chorus of Republican lawmakers who were ready to call for Mueller’s scalp after the release of the Nunes memo. Oh, how the deplorables howled. Here’s a sample of the reaction from Twitter. The whole investigation is based of lies. It’s time to end the witch hunt. Wrong Mr. Dowdy—I respectfully disagree. The investigation was based on a lie and should end immediately!! How can the Mueller investigation be objective if Rosenstein, the man who appointed Mueller to investigate, knew the only evidence he had of Russian collusion came from Hillary? #Mueller was appointed by & reported to #Rosenstein. #Rosenstein signed at least one of the #FISA applications with knowledge of its credibility issues. How can the investigation NOT be discredited? I’m confused – please explain. You are wrong. The entire justification for appointing Mueller was the Dossier, which has been proven to be fake. Mueller IS THE "Insurance Policy." This memo has nothing to do with how and why Special Counsel Meuller was appointed. There wasn’t a d*** crime to begin with. The rules say that in order to appt a S C you must show there is a FREAKING CRIME. Mr. Gowdy this is a SHAM AND EVERYONE KNOWS IT. Fire Meuller now! If the Trumpkins were mad then, they were probably even more upset when Gowdy appeared on Sunday’s edition of “Face the Nation.” He was one of a number of House Republicans who countered Trump’s assertion that the Nunes memo exonerates him. In case you missed it, Trump saw the memo as a chance to beat his chest and yell to the heavens that he was innocent. Au contraire, said Gowdy. Watch here. Gowdy told guest host Margaret Brennan that he didn’t think the memo “has any impact on the Russia investigation,” in part because there is enough to support an investigation without a dossier. Why? On paper, Gowdy should know what he’s talking about. Unlike Nunes, he actually saw the intelligence used in the memo. Additionally, as a former federal prosecutor and former district attorney (or solicitor, as district attorneys are called in South Carolina), he should have some idea how an investigation is supposed to be conducted. Perhaps Gowdy is having an attack of integrity now that he is leaving the House. But it’s only fair to wonder where this integrity was two years ago, when he admitted that he was leading a taxpayer-funded witch hunt.